18V CORDLESS HYDRAULIC CUTTING TOOL | Tallman Equipment Co., Inc. 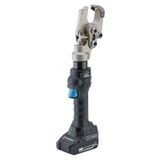 These in-line cordless hydraulic cutting tools can be operated with one hand and balanced for greater control. 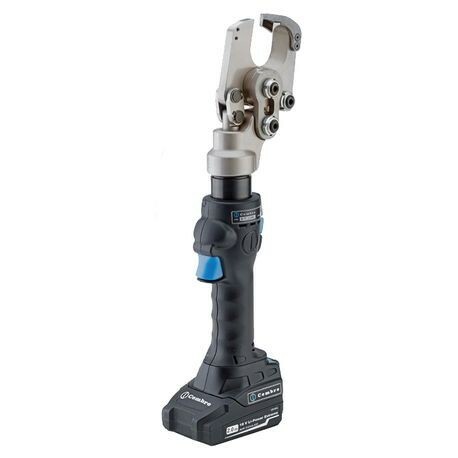 The head rotates 180° for ease of operation in confined spaces. They are fitted with a maximum pressure valve and are extremely quiet, minimal vibration. The New Lithium-ion 18 V (2Ah) high power battery is equipped with led indicators to show the remaining battery life. 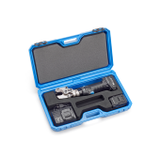 Kit includes: Tool, (2) 18 V Lithium-ion batteries, wrist strap, AC charger, and case.